The beaches of Morar boast a dazzling white sand, turquoise waters and views towards the islands of Eigg and Rum. 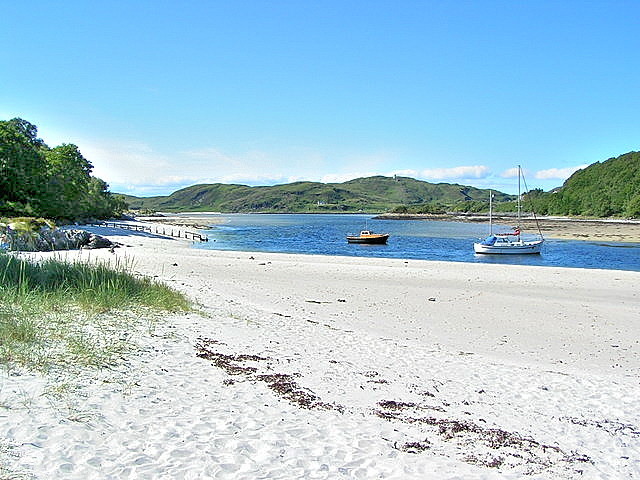 The car park at Toigal would allow you to get the silver sands of the beach with the village of Morar behind. Getting there: Morar is off the A830 Mallaig to Arisaig road. Toigal is off the B8008 towards Glenancross. Access: Can be access from the seafront at Morar but also there is a Car park on the other side of the bay at Toigal. Notes: There is a railway station at Morar.